You probably know about Santiago de Compostela, the famous pilgrimage city in Galicia, but you probably haven´t heard of the Ribeira Sacra – Spain´s “Sacred Riverside” region which is only a couple of hours drive away. Where is the Ribeira Sacra? 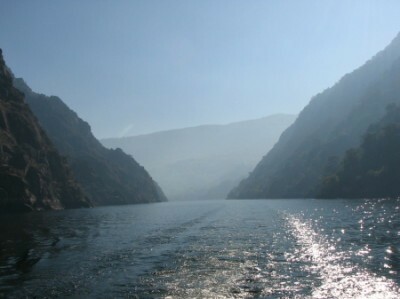 The area centres on and around the picturesque the River Sil Canyon, a natural geological phenomenon, with stunning mountain scenery, steeply-terraced vineyards and a range of different micro-climates. It is approximately 30 minutes away from Ourense city, 2.5h from Santiago de Compostela and A Coruña (nearest low-cost airports). The textilesnaturales weaving courses, online shop and holiday cottage, Casa dos Artesáns (2 double bedrooms, self-catering) is situated in the very heart of the Ribeira Sacra in the picturesque village of Cristosende, overlooking the canyon itself. Why is the area known as the sacred riverside? Because the greatest concentration of historic and ruined monasteries in Spain is to be found here, from the earliest rock-hewn hermitage of San Pedro de Rocas (about 3/4 hr drive from Casa dos Artesans) to the romanesque monastery of Santa Cristina (half an hour drive) to the impressive and monumental monastery of San Estevo (about 50 mins. by car). 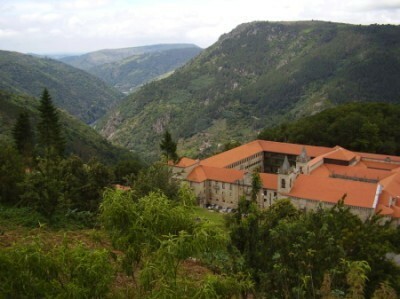 All these monasteries can be visited, although San Estevo has been converted into a parador hotel and only some parts of the monastery are accessible by the public. 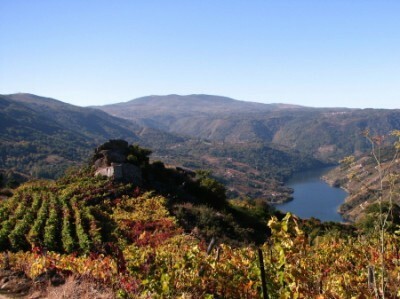 The Ribeira Sacra is known its wine, its stunning scenery, its crafts and its simple, non-fussy traditional home cooking (the local beef is excellent), available in many local bars. The region is increasingly known for its red and white wines and has its own Denominación de Origen wines from mencia and godello grapes. The area is unspoilt by tourism, preserving much of its traditional village atmosphere – it is not a standard “tourist destination”. 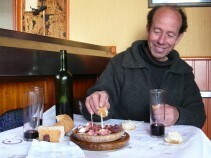 As local people live from wine-making and cattle farming rather than tourism you won´t find many fancy restaurants or other businesses aimed at tourists (or speaking to you in English!). What you WILL find it glorious, unspoilt mountain scenery – you can often walk for a whole morning and have the mountains practically to yourself – and authentic villages offering a vision of rural life which is becoming increasingly rare. You can buy really crusty local bread made in wood-fired bread ovens – in most rural bakeries and eat genuine home-cooked local food (often with local ingredients) alongside locals. Forget rush-hours, deadlines and overtime – rural life is still lived at a pretty slow pace. There is the castle of Castro Caldelas just 15 minutes away, and of course, most people choose to visit some of the monasteries including the haunting San Pedro de Rocas with its anthropomorphic tombs. But quite a few of our guests find themselves leaving some of the sight-seeing for a return visit, in order to simply enjoy being in and around Cristosende. The wooden balcony is too tempting for holiday reading and morning coffee and there are various circular walks starting from the cottage itself including a stunning boardwalk above the River Mao. Galicia has a very strong rural craft tradition although much has been lost since the c.1970s. 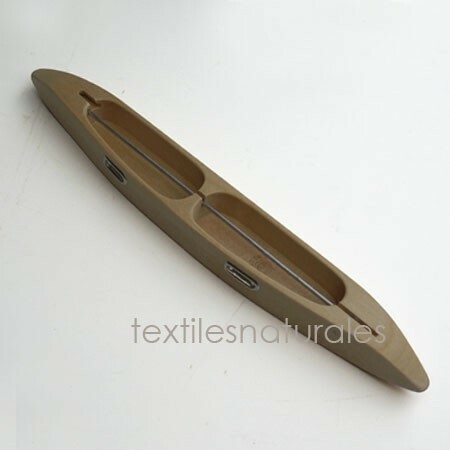 Craft lies at the heart of textilesnaturales – we are after all professional level makers (weaver/baketmaker) and so this focus lends character to the cottage. 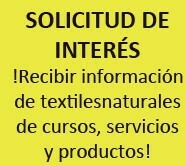 where we also run weave courses and have a small shop display of our own work plus looms, yarns and weaving accessories. Local buys include our own limited-edition linen scarves, towels and kitchen bags as well as a range of local baskets at the craft shop situated in the Cristosende craft workshops (just 50m from the cottage). 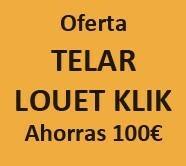 For local pottery you can drive to Alfarería Agustín (on the OU-536 to Ourense). Although, from the outside, there appears to be little that is traditi0nal, go inside and you will see a whole section devoted to the local honey-coloured earthenware pottery in beautiful traditional shapes. Local clay is still dug and processed to make the traditional work. 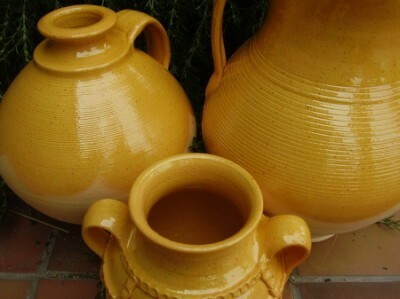 Gundivós is another traditional pottery centre in the Ribeira Sacra.